Panoramic clear walls – as far as you can see! We provided some much needed shelter for 100 private bankers at the Fairhaven Estate. 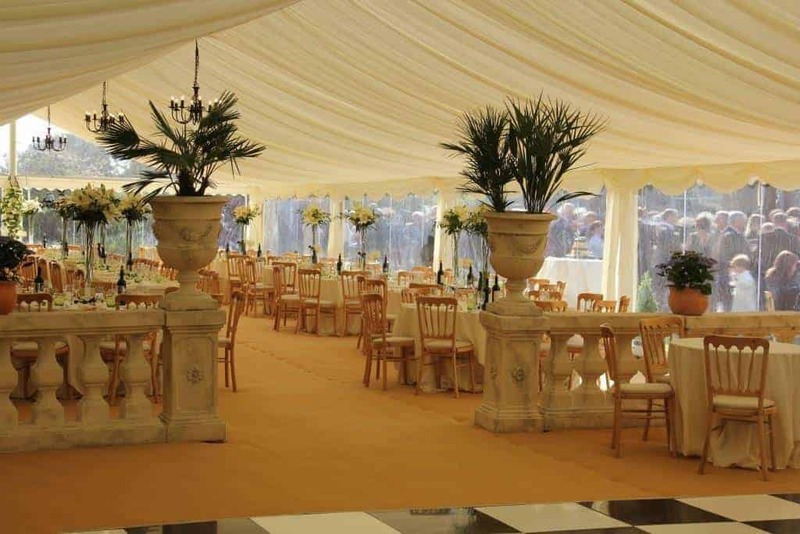 With the marquee hailed as ‘beautiful’ there was certainly no expense spared! Many congratulations to Simon and Fenella who got married earlier this month. It was our 5th (yes 5th!) 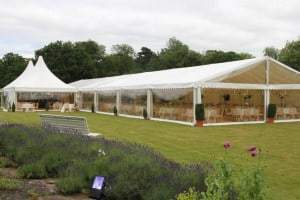 marquee for the family so thank you again for these kind words: “….as always you and your team were an absolute pleasure to deal with and everything was done so professionally…” Here’s to the happy couple and a 6th marquee in the future?! As far as we can see…. 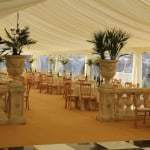 We pride ourselves on always looking for new ways to boost your events and we think we’ve found something spectacular. Our new clear gables and panoramic walls allow you and your guests to enjoy the view….for as far as your eyes can see. We think this is a great way of maximising fantastic views and hope that you agree!